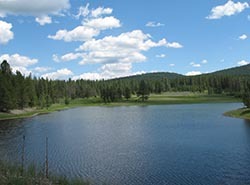 The lodge is located about 100 yards from the Castles Forestry Center. It was built in 1996 and has 16 sleeping rooms. 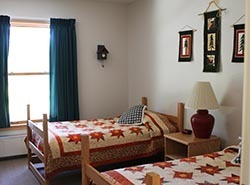 Two rooms have three twin beds and 14 rooms have two single beds each. 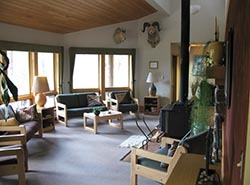 The Lodge also has a meeting/gathering room with a wood stove and wonderful view, a fully equipped kitchen, and bathrooms at the end of the hall. 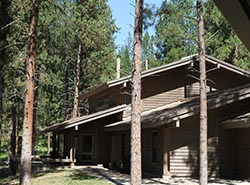 The lodge can be rented in conjunction with the Castles Forestry Center or as a stand-alone option for groups or individuals.